You show up to work in the morning and make a beeline for the coffee pot. You mumble a quick “good morning” to your coworkers while you wait for your bagel to toast, plop down at your desk — and immediately start giving belly rubs to all the pups that are super interested in your breakfast choice. What’s going on? Well, at about 20% of American companies, dogs are totally allowed to go with you to work — and that perk is completely worth the wet noses and occasional bark. 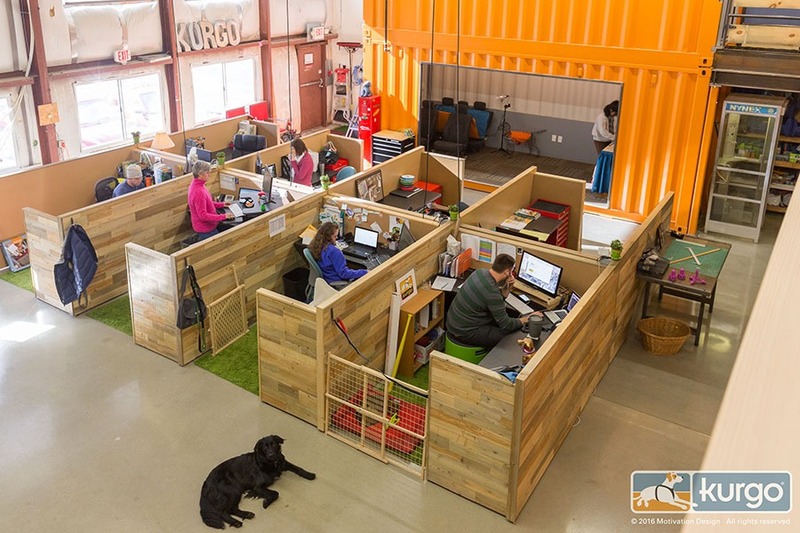 According to one survey, 46 million Americans work longer hours in dog-friendly offices. Instead of having to rush home to let their furry friends out, they can spend all day at work with them instead! Why is a dog-friendly office such a great place to work? Between decreased levels of stress and more opportunities to go on walks throughout the day, spending time with your dog is an easy way to look forward to any workday. And when you take a look at some of the best companies in the country to bring your dog to work, you’ll see why! With 500,000 square feet of warehouse space for pets to roam around, Replacements, Ltd. is one of the biggest dog-friendly workplaces in the nation. Despite selling china and silverware, dogs are allowed anywhere in the facility, and customers are encouraged to bring well-behaved pets into the store! Public Relations manager Lisa Conklin told Inc., “We break things all the time, but I’ve never seen a pet break our china.” That pet love extends to the company’s website, which hosts a “Featured Pets” section to showcase every furry friend — including cats! Aside from inviting dogs to accompany their employees to work every day, G5 goes above and beyond the call of tail-wagging duty by promoting dog-friendly events. The company celebrates National Take Your Dog To Work Day with homemade treats, complimentary pet exams, and a group walk! It’s one thing to allow dogs in the office, but it’s a big deal when a company takes an interest in the health of their honorary employees. Kudos to G5 for investing in their four-legged friends! Kurgo already has the odds working in its favor as a company that designs travel gear and accessories for dogs. Naturally, the office is dog-friendly — but it’s also giving us serious office-envy! Aside from always-available kibble and treats for the office pups, these dogs are product testers — and they’re paid in treats! The office space features a doggie water fountain, baskets of toys, and even fake grass for indoor play areas. And when the dogs and their humans want some sunshine, employees often walk their dogs together — which is great for camaraderie (and tail wagging!). Kimpton’s founder, Bill Kimpton, loved animals. In fact, he used to greet guests with his Collie, Chianti! The company’s dog-friendly environment includes perks like on-site water bowls, treats, beds, and toys, as well as pet insurance and bereavement leave. In short, if you love your dog, Kimpton is a great place to work! 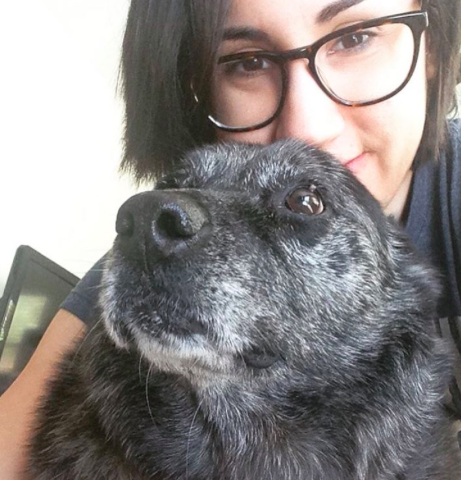 Some Kimpton hotels even have a unique position for employee’s pets: the Director of Pet Relations! This position started in 2000, and its main tasks involve greeting guests and performing quality control on the hotel’s pet amenities. It’s a ruff job — but someone has to do it! We #love #Friday at #TCG! We traded in our usual #BBQ tradition for #pizza in the #sunshine instead. @ballastpointbrewing Pale #Ale is on tap. Even the #petsatwork want a taste! Days like this in #SanDiego make you wonder why anyone would want to #work anywhere else! Alongside awesome perks like toys and treats at each of The Control Group’s offices, employees have access to discounted pet insurance rates. Plus, office pooches even have their own place on the company’s website with official-sounding positions like Director of Dog Hair and Woof Development Officer. The Control Group also includes their canine companions in company events: their employees recently participated in a charity 5k, which raised awareness for animals in need of loving homes. Not only that, but The Control Group is an ongoing supporter of the Helen Woodward Animal Center and reimburses all adoption fees for employees who adopt their pets from the rescue — talk about an incentive! You probably recognize Bissell as the maker of the very same vacuums you use to suction up all of your dog’s hair. But the company is also a dog-friendly workplace with a heart of gold: Bissell supports dog shelters, pet events, and animal rescues through the Bissell Pet Foundation, which is primarily funded by a percentage of sales from Bissell’s pet cleaning products. Additionally, Bissell constructed a spot just for employees’ fur babies: The Bissell Pet Spot! This dog-friendly space features indoor kennels, an outdoor play area, bathing stations, and even an indoor dog spa. Can humans jump into that spa, too? Clif is an awesome workplace for both outdoorsy dogs and couch potatoes! Not only do employees receive a special pet insurance discount, but their canine companions have access to a large off-leash area to let all their canine energy loose. What’s more, Clif encourages its staff to give back to their communities; when employees volunteer for animal-related causes, they receive paid time off. There’s proof that dogs are good for the body and soul! Would you bring your dog to work? Is your workplace dog-friendly? Let us know in the comments!